The Centers for Disease Control and Prevention (CDC) has reported that a woman has died after she contracted an incurable infection, resistant to all 26 antibiotics available in the United States. The report was included in the January 13 Morbidity and Mortality Weekly Report (MMWR). As it noted, in August 2016, the Washoe County Health District in Reno, Nev., was notified of a patient at an acute-care hospital with carbapenem-resistant Enterobacteriaceae (CRE) that was resistant to all available FDA-approved antimicrobial drugs. 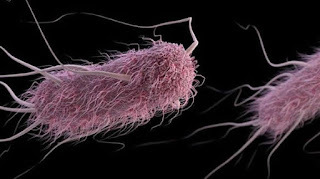 The specific CRE was Klebsiella pneumoniae, which NPR notes is described as a "nightmare superbug" (or "nightmare bacteria") because it was even resistant to antibiotics developed as a last resort against bacterial infection. The patient died in September. While deaths from "superbug" infections are not uncommon, what is unusual in this case is that the bacteria was detected early in treatment but the infection still could not be stopped. Although CRE isolates are commonly sent to CDC as part of surveillance programs or for reference testing, resistance to all antimicrobials is very uncommon. The patient in the report had inpatient healthcare exposure in India before receiving care in the United States. Healthcare facilities should obtain a history of healthcare exposures outside their region upon admission. Screening should be considered for CRE when patients report recent exposure outside the United States or in regions of the United States known to have a higher incidence of this organism. What should be particularly concerning is such superbugs are likely spreading, and doing so in a manner that may prove challenging to detect. As Bill Hanage, an infectious diseases epidemiologist at the Harvard T.H. Chan School of Public Health and senior author of the study, notes in a PBS report, "You know the phrase 'Shutting the stable door after the horse has bolted?' The horse has not only bolted, the horse has had a lot of ponies, and they're eating all our carrots."